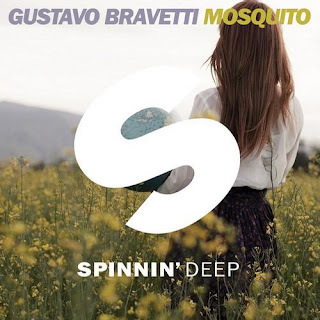 Spinnin’ Records hit a home run with the release of Gustavo Bravetti’s fantastic ‘Mosquito’, which hit the shelves last week on their Spinnin’ Deep sector of the world’s #01 dance music label. Having already clocked up on 50,000 hits on their iconic YouTube channel, Gustavo has let off an underground rocket that edges to the more tech and deep end of the electronic spectrum. If you thought Spinnin’ was all big drops and EDM – Gustavo’s got news for you. ‘Mosquito’ is a sub bass driven house workout stuffed with minimal pops and percussion along with the recognisable synthesiser representation of everyone’s favourite blood-sucking bug – the mosquito. Having already bagged support from techno kingpin Richie Hawtin, Sonny Wharton, Filthy Rich, Spektre, Chris Lake and many more – the release is reinforcing Gustavo’s commanding year in the studio.